Valentine’s Day is just around the corner. This year, I challenge you to use a simple way to celebrate Valentine’s Day. The simple way is writing a note to your children. Why a note? Words are powerful. The words we speak to your children are especially powerful. Why? Because they look to us and wonder “Am I loveable? Am I wanted?” As parents, we need to answer these questions with a resounding YES! The simple way we can respond YES is by writing words of encouragement to our children. I am going to share what my husband Jonathan and I have done for the last several years for our kids on Valentine’s Day. It’s a simple activity that takes a few minutes but one that will impact for years to come. Jonathan and I began by cutting out several hearts. Each child had a large heart with their name on it. 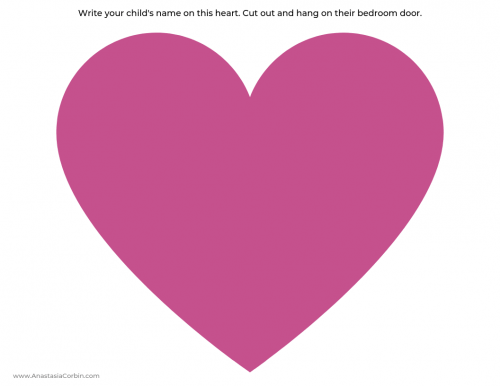 We also cut out four small hearts per child. 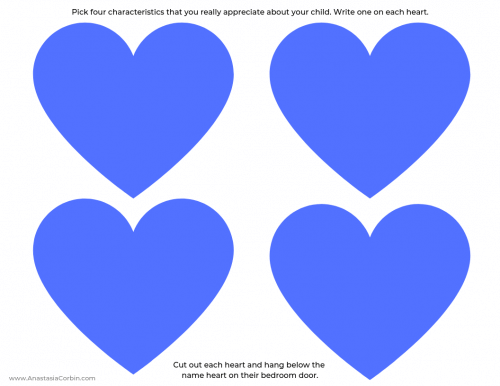 On these hearts, we wrote one characteristic that we loved about our children. 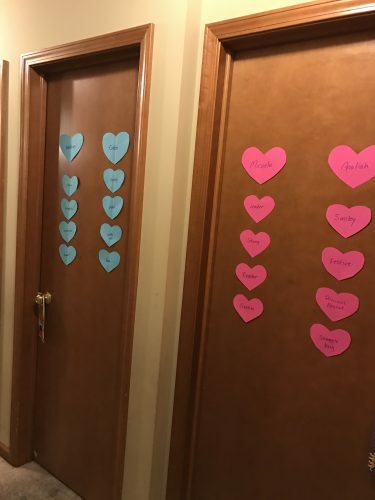 Then, we hung the hearts on their bedroom doors. Our kids LOVED this! In fact, those hearts hung way past the holiday. When our kids finally took them down, they placed the hearts in their keepsake boxes. The encouragement hearts will impact your child for years to come. 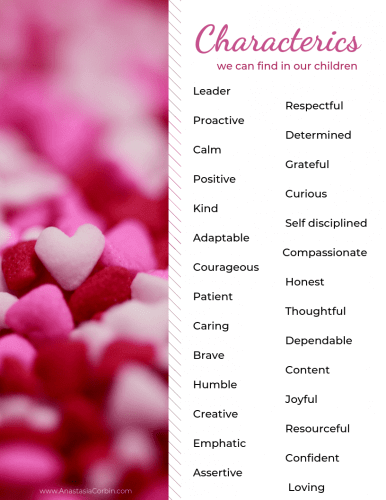 Below, you will also find a list of characteristics to guide you as you choose the characteristics you love about your children. Click HERE to download list. Click HERE to download the FREE printable for GIRLS. Click HERE to download the FREE printable for BOYS. Another idea is to write a letter to your children about what you love and appreciate about them. Send it in the mail so they receive it on or close to Valentine’s Day. Most children love getting real mail so I know this would be special for them. This is also a great idea if your children are out of the house. Be sure to include a letter for their spouse if your child is married. Words of encouragement are a blessing no matter what way they come. Words are powerful. 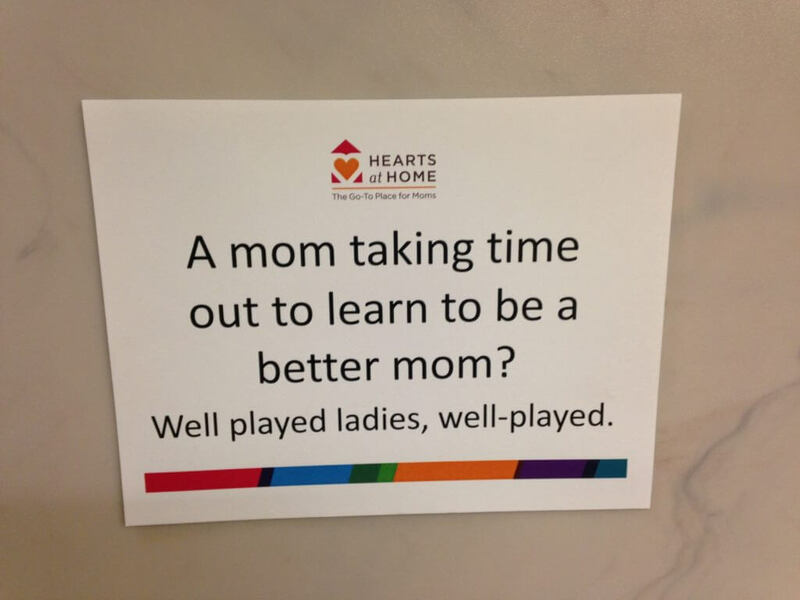 The words we speak to your children are especially impactful. This Valentine’s Day, I encourage you to write a note to your children and let them know what you appreciate and love about them. I can’t wait to hear how it goes! Please comment below with any stories. Thank you!